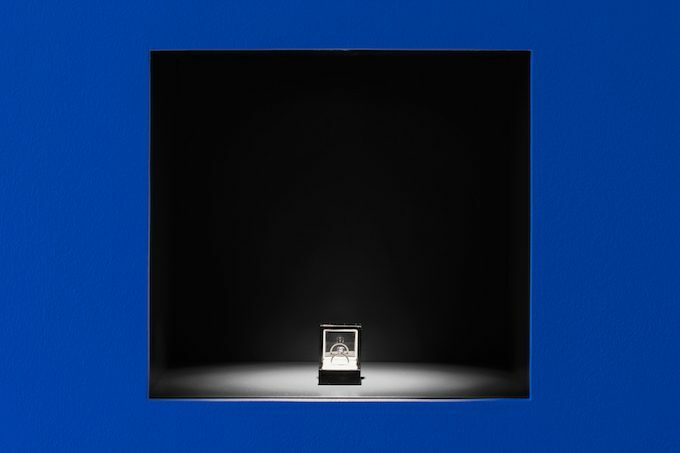 When staring into the facets of the blue diamond placed at the heart of the new installation at the SF Art Institute (SFAI), it’s easy to forget that it was grown from the remains of a man. Sitting in its cushioned case, it looks much like any other diamond: a small star captured in stone and embraced by silver. And yet, as diamonds so often do in our society, this stone represents so much more than one might first assume. 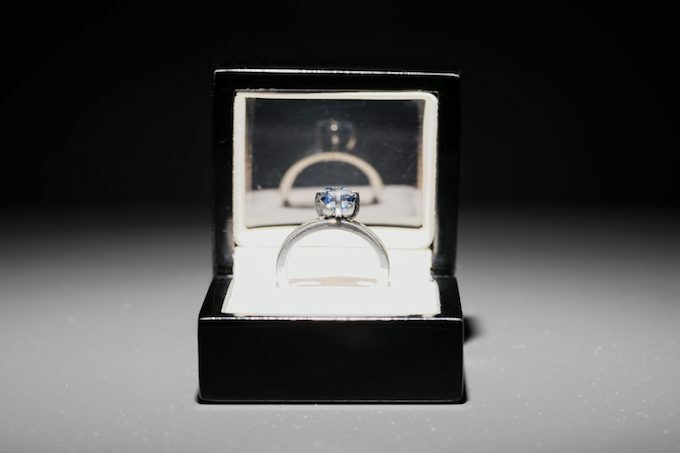 Six months before this diamond was removed from its growing cell and sent to artist Jill Magid, it was the ashes of famed architect Luis Barragán. Luis Barragán was a renowned Mexican architect from Guadalajara. His buildings and designs are scattered across the city and throughout Mexico, including Mexico City. His geometric and flamboyantly colorful architectural style garnered the admiration of architects from all over the world, and, in 1980, Barragán was awarded the Pritzker Prize, the most prestigious award in architecture. One of his most highly-praised structures, his own home and studio, was designated a UNESCO World Heritage site in 2004. 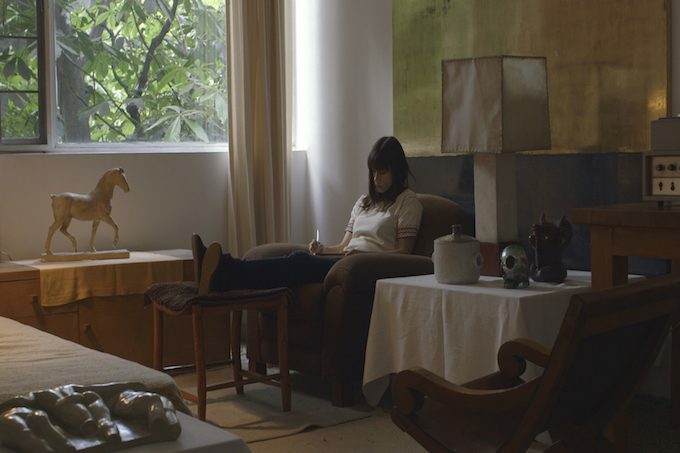 It was while visiting this unique abode that artist Jill Magid found the inspiration for her next project. Magid has become famous for her immersive art, which often incorporates subverting and flirting with authority in an attempt to humanize sometimes faceless bureaucratic institutions. While Magid is not, as she stated at a press preview on September 8, 2016, “the kind of artist who makes a piece about a house,” she did find Barragán’s work — and the conflict surrounding it — fascinating. When Barragán passed away in 1988, his architecture and his private collection were willed to his home estate, which has since become a museum. His professional archive and copyrights, however, was purchased by Vitra chairman Rolf Fehlbaum, who, it is said, gave the archive to his then-girlfriend Federica Zanco in lieu of an engagement ring. This archive is said to contain more than 13,000 drawings, several hundred photographic prints, and a multitude of publications, among other artistic artifacts. Sadly, despite setting up the Barragan Foundation, Zanco has kept this immense archive locked in a bunker for the last twenty years, where it has sat far from the eyes of Barragán’s fans and family. Because the couple also owns the copyrights to Barragán’s collection, the architect’s work has slipped largely from view, in particular because images of Barragán’s work is unflaggingly controlled. When Magid learned of the situation, she began work on The Barragán Archives, an extensive project that has incorporated performances, installations, and — most recently — a ring, in an effort to explore the idea of corporate ownership of an artist’s legacy. At the heart of the project is a question: “When a corporation owns an artist’s legacy, who can access the work, and who can’t?” For Hesse McGraw, Vice President for Exhibitions and Public Programs at the SFAI, the answer is simple: “A legacy is most alive when it’s shared and open to all,” McGraw stated at the press preview. 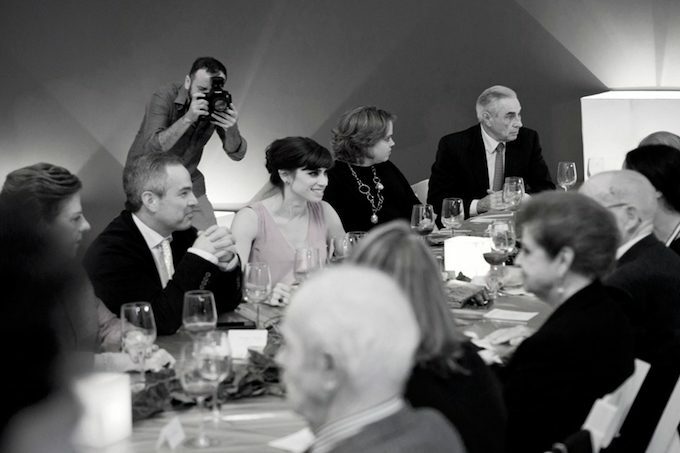 Jill Magid, The Family Dinner, Museo de Arte de Zapopan, Guadalajara, Mexico, July 19, 2014. Magid wholeheartedly agrees, and, two years ago, set in motion her plans to help open up a dialogue about the release — and perhaps repatriation — of Barragán’s work. 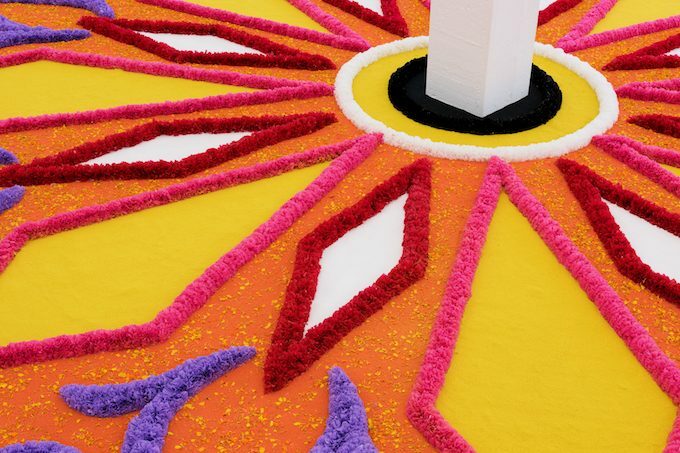 In 2014, Magid began collaborating with Barragán’s family and the Mexican government, and in September of 2015, Magid, government officials and members of the Barragán gathered at the Rotonda de los Jaliscienses Ilustres in Guadalajara. There, two gravediggers worked to exhume the copper urn that contained Barragán’s ashes. Magid removed half a kilo of the ashes and replaced the lost weight with a little horse made of silver. The urn was then returned to its resting place and the cavity was sealed once more. This fascinating process can be seen in a short video that plays as part of the exhibit at the SFAI. Zanco has yet to make a response to the proposal, though it seems that there have been murmurings of a response. In the meantime, the diamond will travel as part of The Proposal exhibition. Magid hopes that the conversation her project has started will influence others to come forward with their own archives and share them with the public. As Magid sees it, she, Zanco, the architect’s family, the Mexican government, and the architect himself are bound together by Barragán’s cultural legacy — a legacy that must be shared to truly be appreciated. Magid has said that a proposal is something that must be seriously considered, and that she hopes Zanco really will consider her question, and the questions that arise from The Barragán Archives. In the meantime, she will wait. What started out as an exploration of an artist’s legacy has become, as McGraw stated, “a gothic love story crossed with an intellectual thriller” — and at its heart rests a diamond. The Proposal runs until December 10, 2016 in the Walter and McBean Galleries of the San Francisco Art Institute.